Last May, I stumbled upon a Facebook post that announced Viviane Thomas-Breitfeld had been elected bishop of the South-Central Synod of Wisconsin. I was stunned; I had no idea her name was even on the ballot. I read the post again, just to be sure. A hallelujah reverberated in my soul. I grabbed the phone to call then-Pastor Viviane to congratulate her and shower her with well-deserved praise. But, at the sound of her voice, all I could do was cry. For several moments I wept openly, unable to speak. My tears spoke for me. She knew what they meant: I was both overjoyed for her success and weary with exhaustion that it had taken this long for a woman of African descent to be elected a bishop. Eventually I was able to formulate a few sentences to convey my joy. After I hung up, I jumped back on Facebook to share this historic news as far and wide as possible. That’s when I learned Patricia A. Davenport, also of African descent, was elected bishop of the Southeastern Pennsylvania Synod. I could barely breathe. Immediately, I took ownership of both of their accomplishments—hallelujah indeed. I was Elizabeth and they were Mary (in Luke 1). After I learned what God had birthed in them, my own spirit, deep inside me, leaped in wonder. I was able to attend Bishop Viviane’s installation. Dozens of clergywomen of color were in attendance, and pastors were invited to vest and process. More than 200 clergy waited in the halls for the processional to begin. When we started to move, a couple of clergywomen of color began to sing the chorus of the old McFadden & Whitehead song “Ain’t No Stoppin’ Us Now.” Then, Rhonda Pruitt, a pastor of Our Saviour Lutheran Church, Arlington Heights, Ill., continued on to the verse. The lyrics from that 1970s rhythm and blues hit remained pointedly relevant. What began as a whimsical tune quickly transformed into a cry for justice. Pastor Rhonda began to sing: There’s been so many things that’s held us down. But now it looks like things are finally comin’ around. I know we’ve got a long, long way to go. And where we’ll end up, I don’t know. Where is God calling the ELCA? Many joined in right away. Adding our voices to hers, we continued: But we won’t let nothin’ hold us back. We’re putting ourselves together. We’re polishing up our act. If you felt we’ve been held down before. I know you’ll refuse to be held down anymore. The energy in that space told us we weren’t alone—we were surrounded by the great cloud of witnesses. We were wombed together in that crowded space, united in solidarity and celebration. God, as midwife, birthed in us something ancient yet altogether new. I was ancestor and infant. The spirit from that processional leads me to now ask where we go from here. Where is God calling the ELCA? Perhaps this is a Sankofa moment for our church. 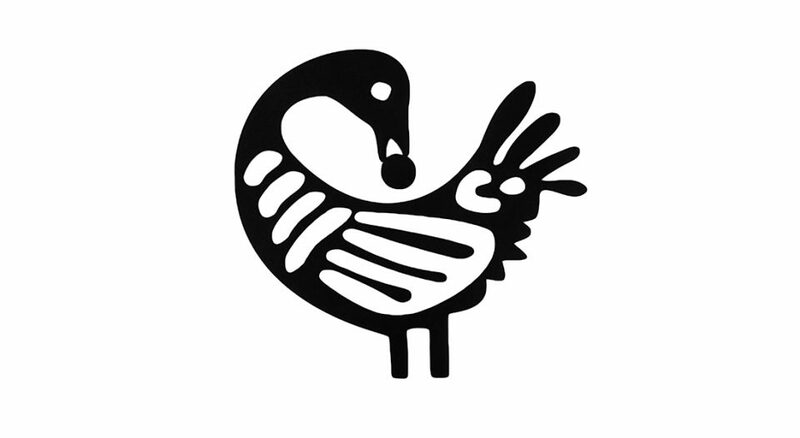 “Sankofa” is a word in the Akan language, spoken primarily in Ghana, meaning “to go back and get it.” It’s often symbolized as a bird looking back while its feet are facing forward. The heartbeat of the Sankofa concept is that it’s not taboo to fetch what is at risk of being left behind. At the 1993 Churchwide Assembly, our church adopted the social statement “Freed in Christ: Race, Ethnicity, and Culture.” In the statement, the ELCA helped shed light on the subtle and overt nature of racism and acknowledged some of the ways the church can dismiss people who live on the margins of society. “This church has not moved much beyond an ‘assimilation’ approach to culture, where the assimilated are those who adopt the values and behavior of the dominant culture,” the statement reads. To achieve lasting transformation, the ELCA must continue to wrest our congregations from the grip of racism and Eurocentricity. The bishop elections of 2018 have set us on a path toward greater understanding, greater equity and greater freedom. It is my hope that we will continue to honor our Reformation heritage by acting as an agent of change in an unjust world. I am hopeful for the future of the ELCA. I know we’ve got a long, long way to go. And where we’ll end up, I don’t know. But I trust that God won’t let nothing hold us back. Khabeb is a pastor of Holy Trinity Lutheran Church in Minneapolis. She enjoys an active home life with her husband and three children.